There has long been a clamor for dark theme within apps, and only fittingly so given how dark mode and night mode apps can effectively prolong battery life on smartphones with OLED screens. This is true for dark mode on Android as well as with the iPhone, as the individual pixels have to render less work on dark areas of the screen, using virtually no juice when displaying true black. Google confirmed this during a session at the recent 2018 Android Dev Summit, showing several slides that reiterate the power of dark mode in power conservation. Here’s what went down during the session and how dark themes can better implemented. As Slash Gear reported, Google has stats from its own study on how smartphones spend their battery life. The tech giant also spoke to developers about what they can do in their apps to refrain from eating up too much battery life. In Google’s presentation, screen brightness and even screen color surfaced as just about the biggest factors in battery usage. It seems pretty obvious: the greater the brightness, the quicker the power draw. The correlation between brightness and power usage appears to operate in a mostly linear fashion as well. Next, the session touched on the difference between power usage on max brightness between normal mode and night mode. Comparing the first Google Pixel (AMOLED screen) and iPhone 7 (LCD) displaying screenshot of Google Maps in normal and night mode, it revealed that a dark theme can reduce battery usage – even with max brightness – by up to 63 percent on AMOLED displays. Now let’s go to color. Color shown on a smartphone display is a major factor in how much power is drawn from battery life. As seen in the chart below, every color has a different amount of usage of a device battery. Interestingly, blue takes 5 percent more power than green or red in an RGB arrangement. The colors black and white are on the opposite ends of the power spectrum, where the former has barely any power draw while the latter is the most power-hungry among all colors. White consumes the most power since it uses all the display’s different components in order to shine. Google was also quick to acknowledge on stage its own “oops” moment. Since its Material Design theme started in 2015, the company has been pushing the use of the color white, urging designers to use the color as their primary color for every app and interface. Recent Material Theme redesigns, too, feature stark bright backgrounds. Google realized this, noting the pickup in dark themes for their apps over the last year. While the prominence of white across Google apps and within Android’s own style guidelines isn’t about to let up, there’s growing recognition of the value of dark mode. Dark mode YouTube and Android Messages are a real thing, and Google is also bringing this feature to its Phone app and getting it tested in the mobile Google Feed. In the session, battery savings in YouTube for Android were demonstrated when a video is playing and on pause. According to the study, the dark mode results in a 60 percent slash in power draw from the display versus the normal white appearance. Tap on the profile picture in the top-right corner. Go to Settings and then General. Under Remind me to take a break, you’ll see the toggle button for the dark theme. Yet while Android can be set in dark mode for the quick settings menu and app drawer, Google is yet to add a system-wide night mode. For now, we might have to be content with the baby steps it’s taking, including making known the value of going easy on an all-white look. Google also provided developers various tips on implementing dark themes as well as best practices, such as inverting the display to get started on transitioning an app. Watch the video here. The dark mode isn’t just a “nice to have” feature – it can make a radical difference in how much all the apps need to run in Android. 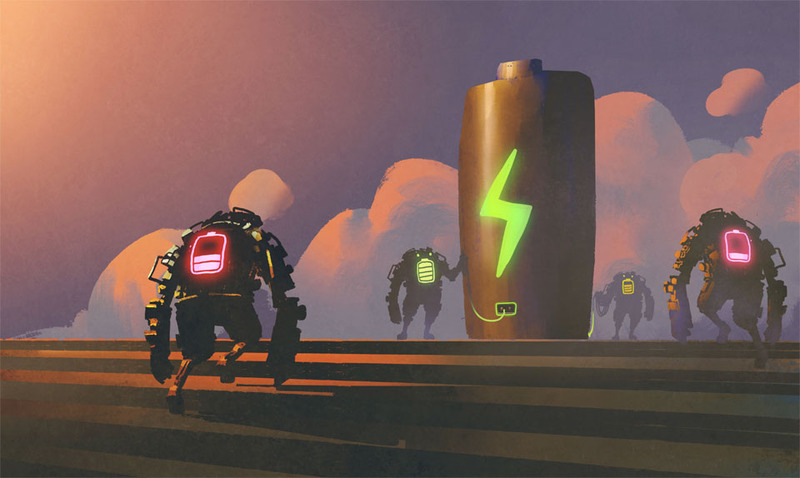 We’re waiting to see how Google continues to release this theme in its apps in the future, helping us charge our phone batteries a little less frequently each day. For some assistance in extending your phone life, a safe and efficient tool like AndroidCare-Cleaner, Booster, Battery Saver & VPN just might be the lifesaver you’re looking for. How about you: are you an avid user of the Android or YouTube dark mode setting? Share your experience with us in the comments!